Big Blue Note: We wouldn't miss this campout for anything. It's a great time in a relaxed setting. And good people always show up and have fun. If you are in the area, you should consider it. 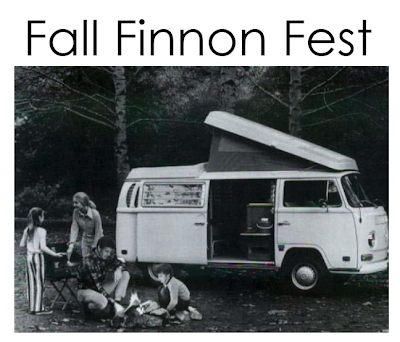 Bring: VW bus and perhaps some red wine and/or a dessert to share. Dogs, Frisbees and children welcomed and encouraged. Coleman lanterns, pressurized lanterns, florescent lanterns and lite beer discouraged. Flush toilets, running water but no showers. There is an excellent café within walking distance. The reservoir has bass and panfish, should you be a fisherman. Frisbee golf course and horseshoe pit on site too! Cost: $10.00 per night, per VW bus. RSVP: There is none. We will be camping there even if you stay home and be a party pooper. Directions: Hwy 50 to Placerville, left (north) onto Hwy 49. Hwy 49N to SR193, turn right on 193. Go 3 miles to Rock Creek Road (1 mile after crossing American River Bridge). Turn right Rock Creek Road. 10 miles up to Finnon Lake on the left side of the road. Turn left onto the road just to the left of the café. Look for VW buses and stuff on the far side of the lake.